Rezervujte 14 dnů nebo méně před datem příjezdu a obdržíte 20 % slevu z uvedení ceny. 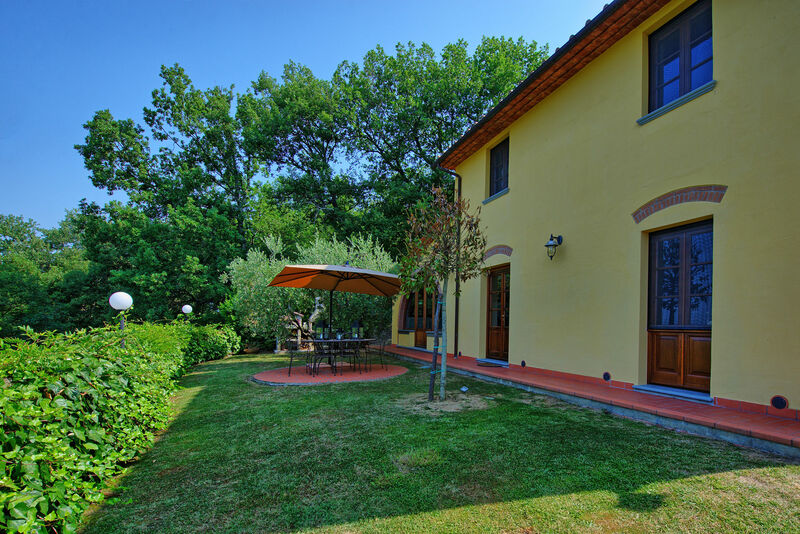 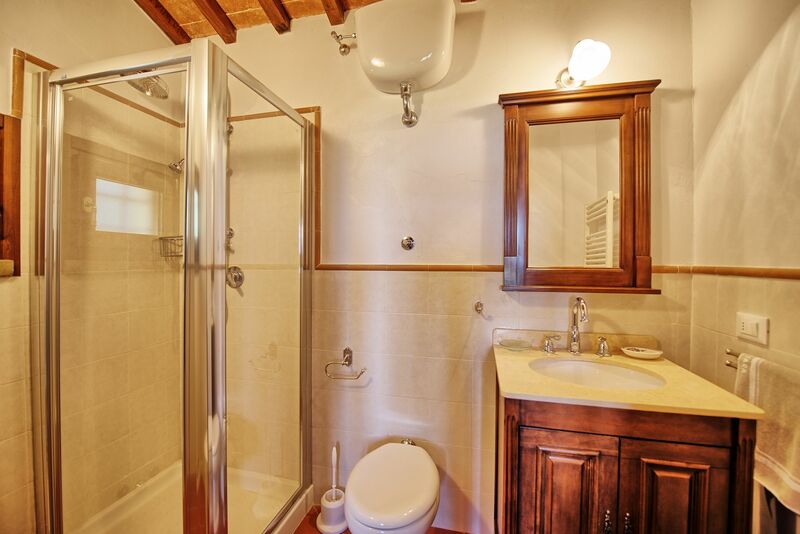 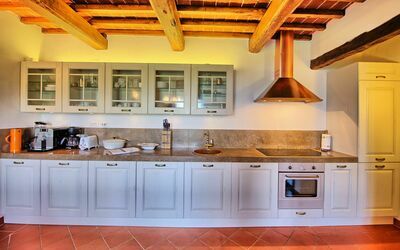 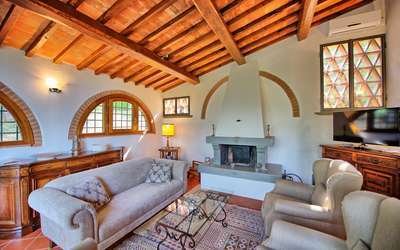 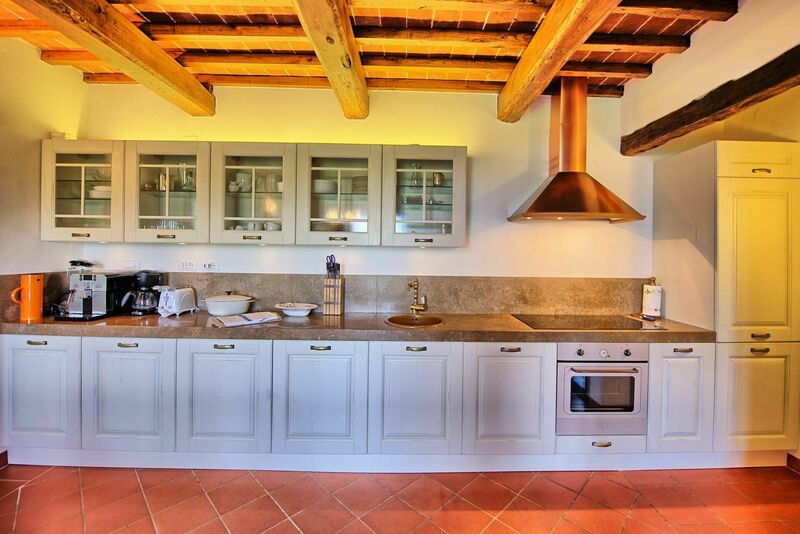 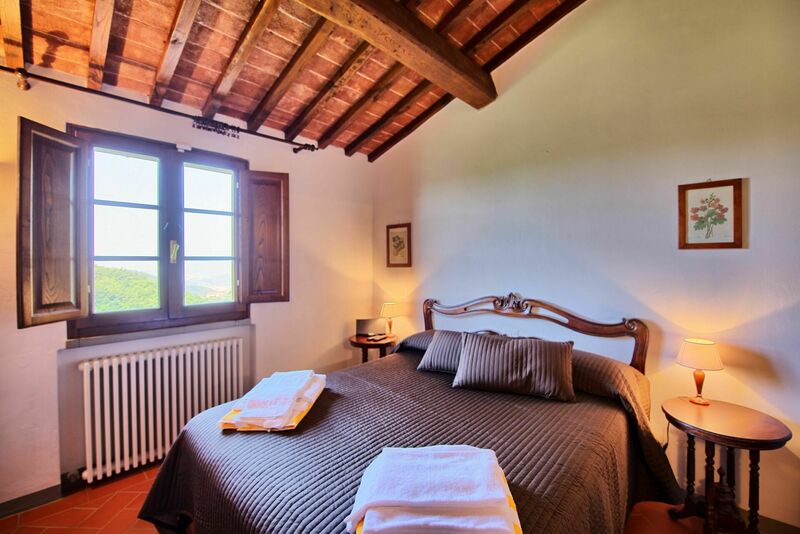 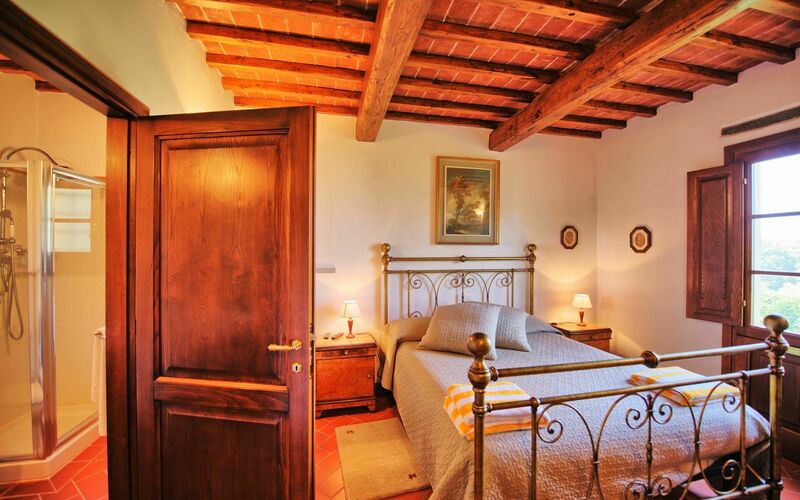 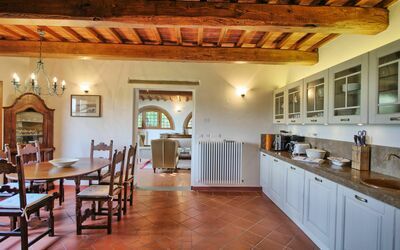 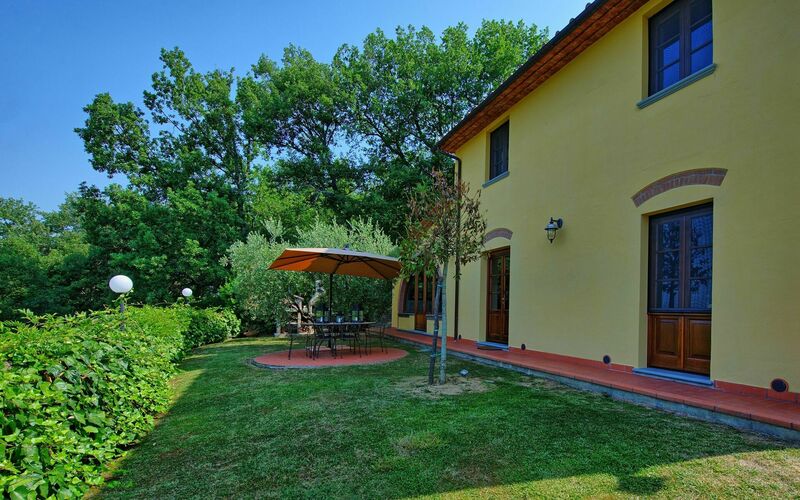 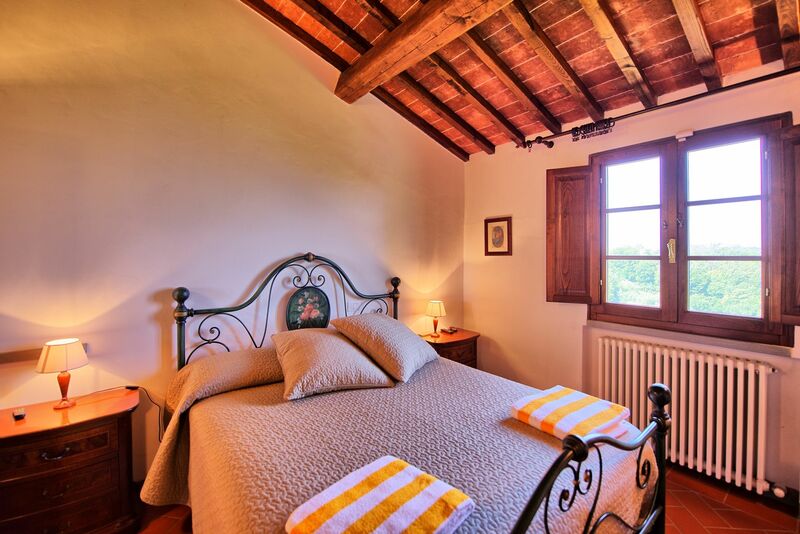 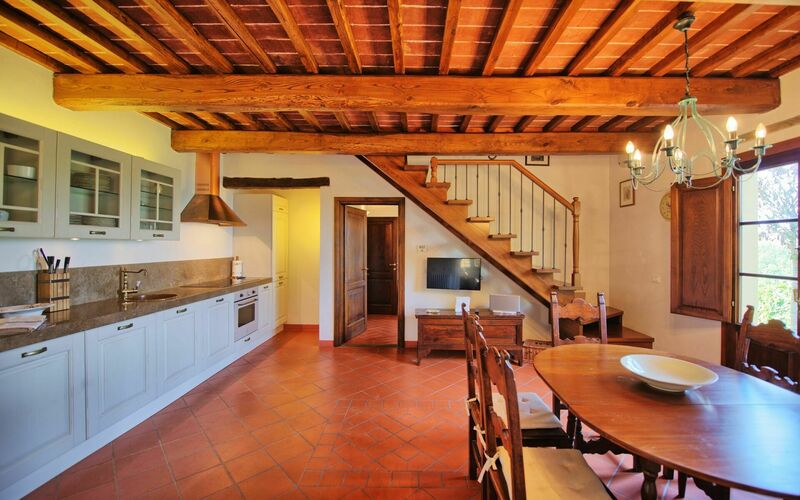 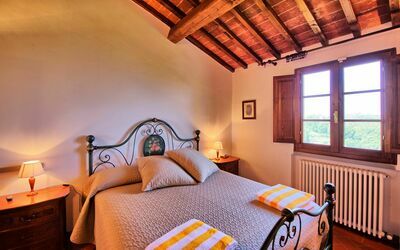 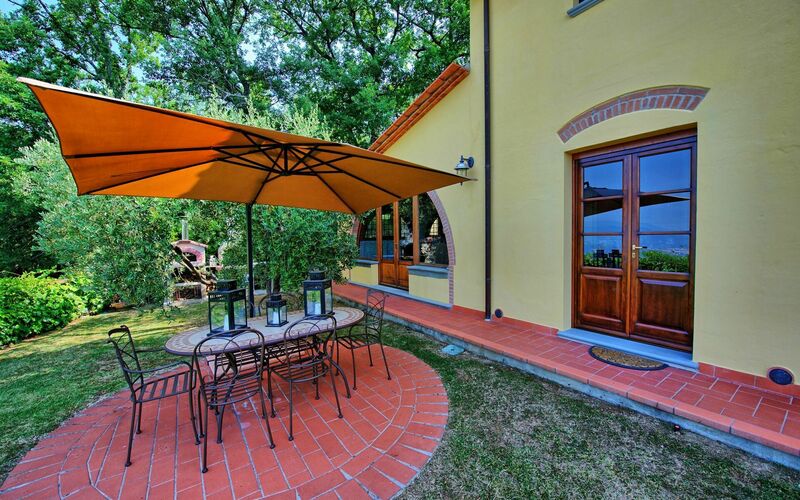 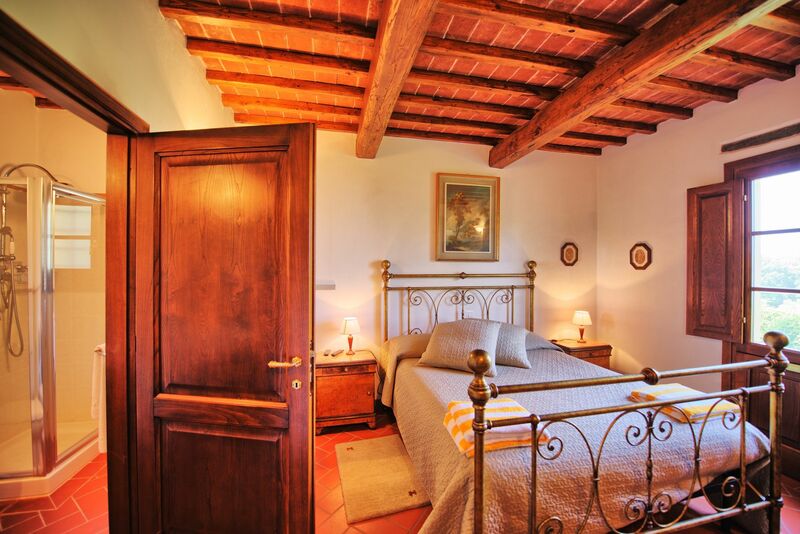 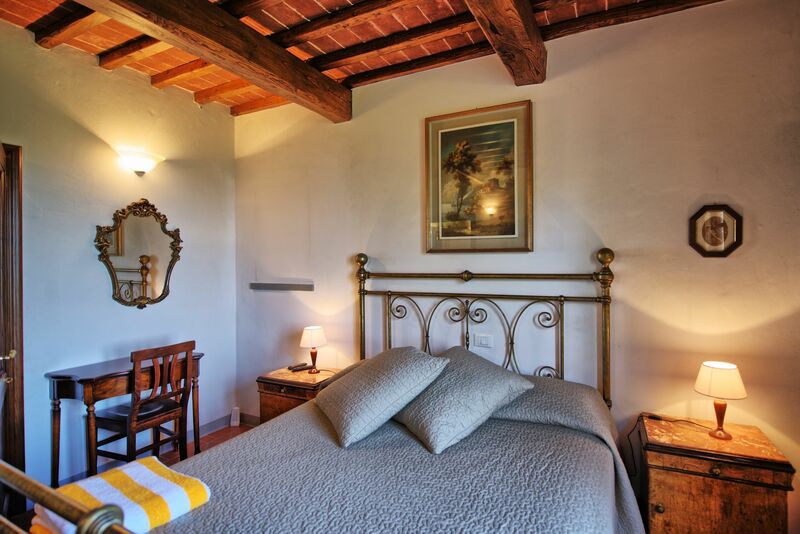 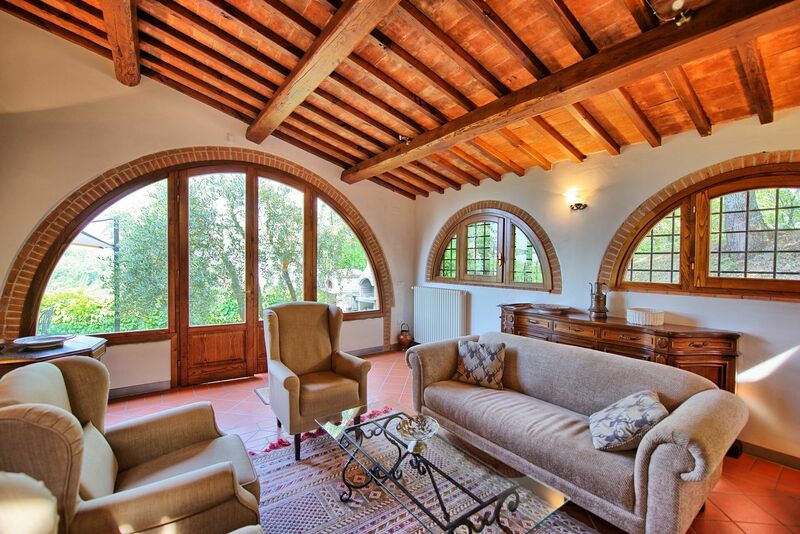 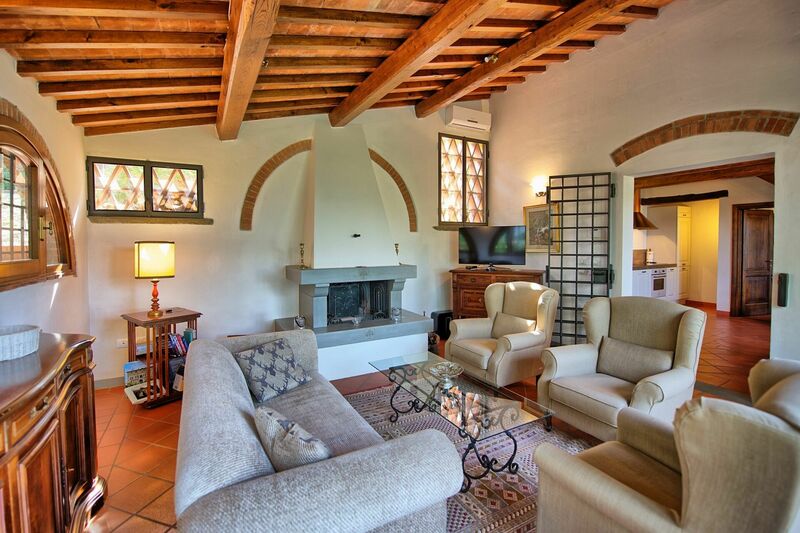 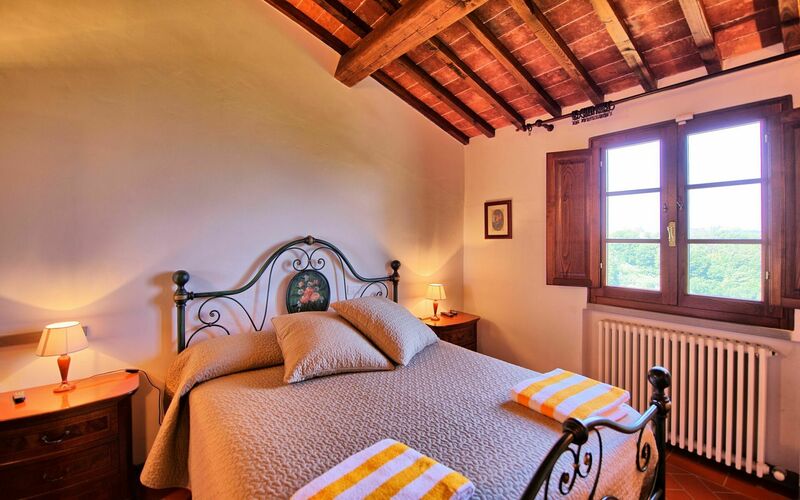 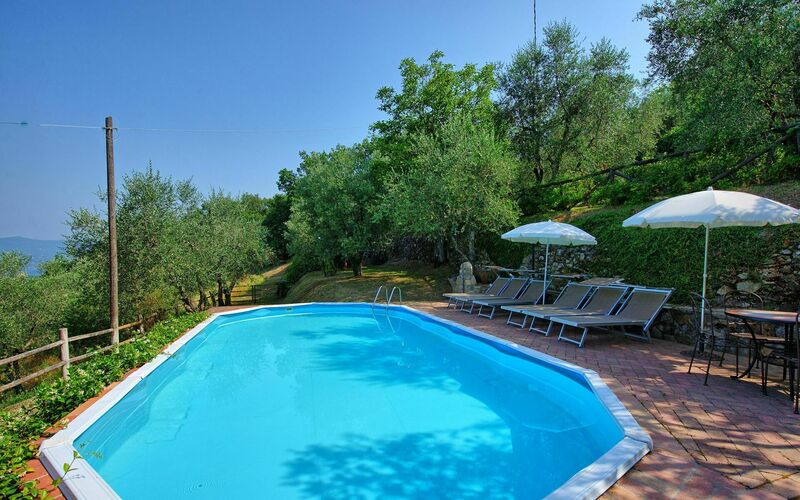 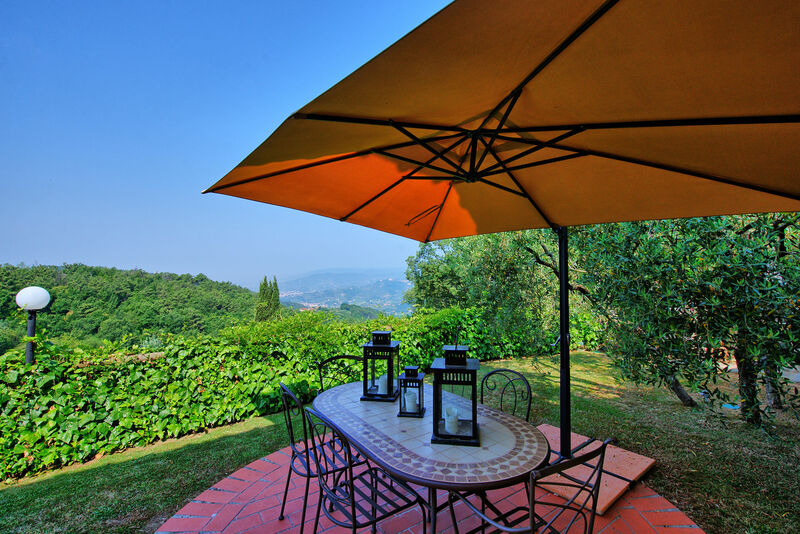 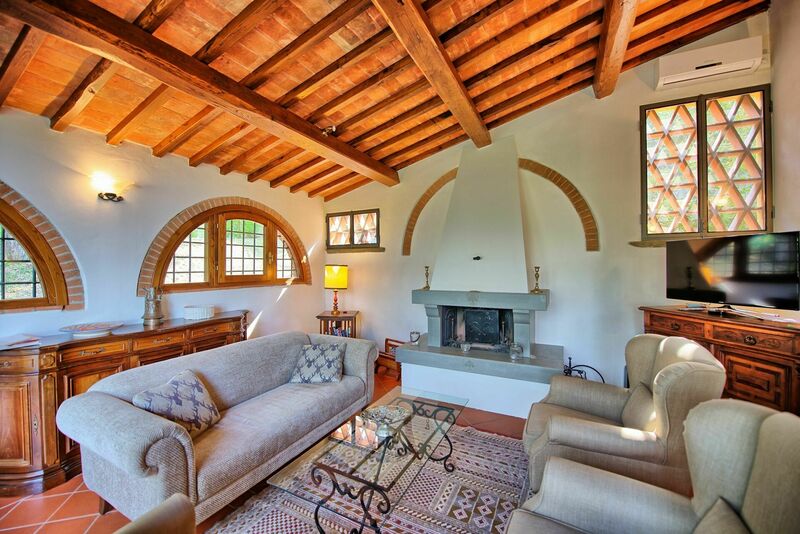 Charming former barn peacefully situated on the hills surrounding Montecatini Terme (320 above sea level). 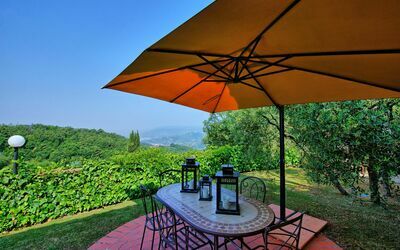 The property, offering extensive views over valleys and woods, has been recently restored preserving its original architectural features and turned into a lovely private accommodation. The house offers tastefully furnished interiors. 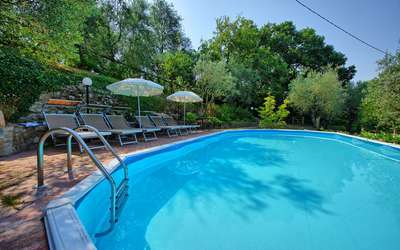 Distances in Tuscany: the small town of Monsummano Terme with all kinds of shops, spas (Grotta Giusti) and golf course 3 km, Montecatini Terme 7 km, Lucca approx. 30 km away, Florence and Pisa 45 km, Siena approx. 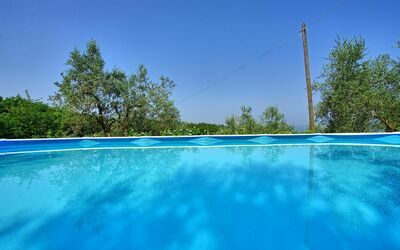 110 km. 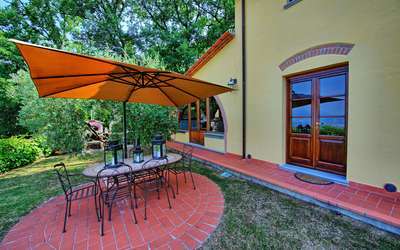 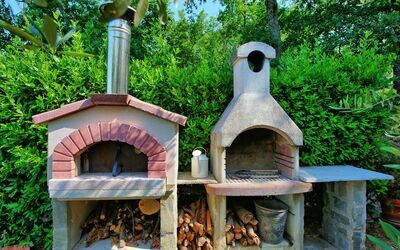 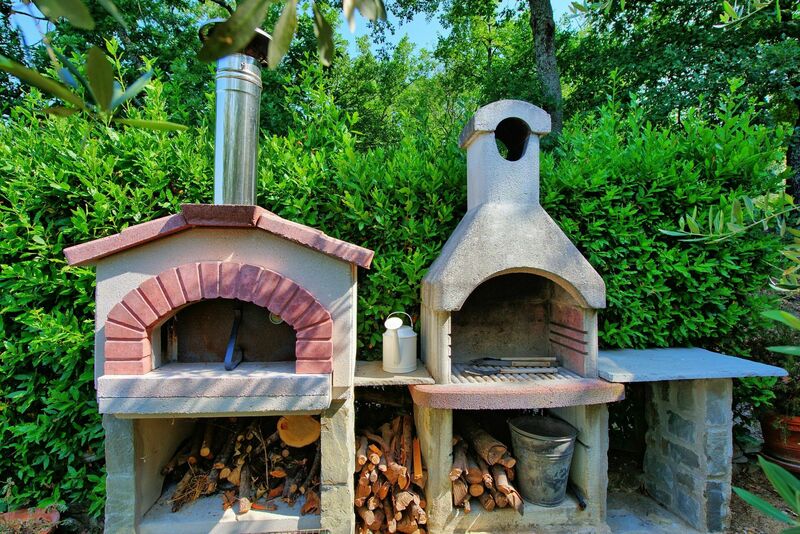 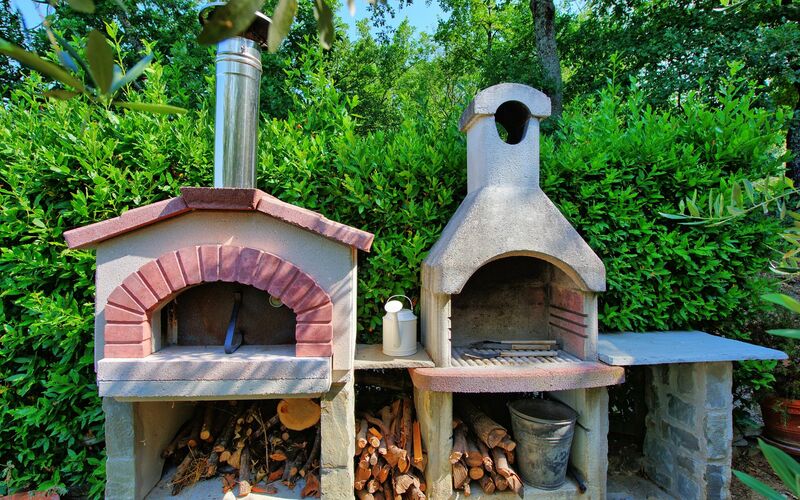 At guests’ disposal: nice private furnished garden with outdoor speakers and garden lightning, barbecue area with wood burning pizza oven. The garden is set in a panoramic position with plenty of fruit trees and invites to have a al fresco dinner, partially above-ground swimming pool (9,15 x 4,6 m – maximum depth 1,2 m – open from 15/04 to 15/10) set in panoramic location with shower and speakers. 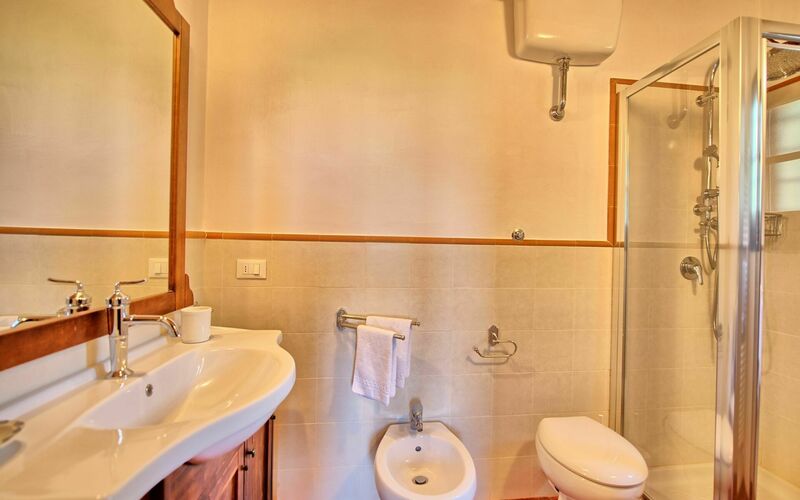 Laundry with washing machine and ironing facilities. 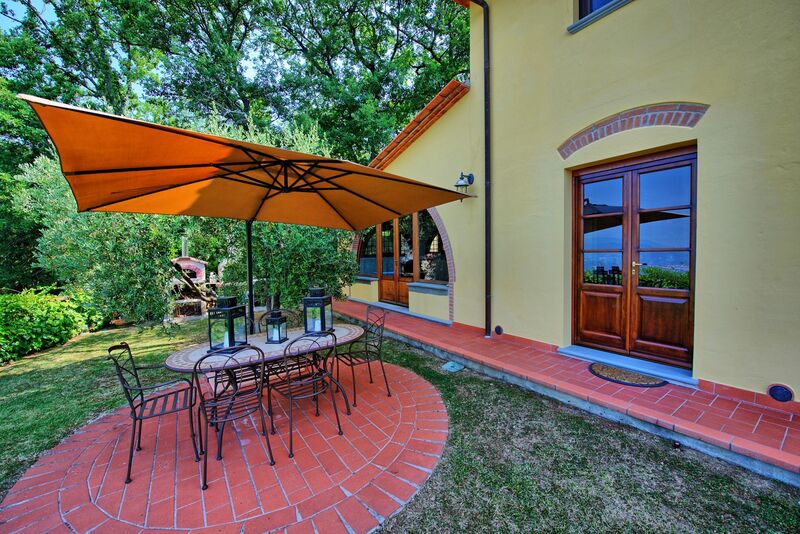 Parking in the property (completely fenced with alarm). 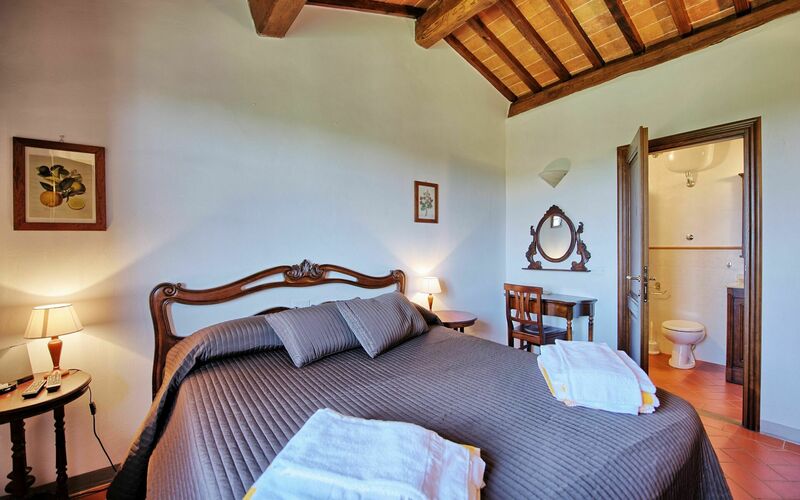 All of the bedrooms are provided with air-conditioning. 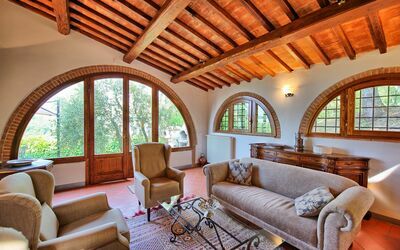 Mosquito nets on all windows. 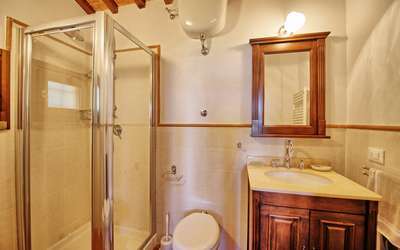 Internet (WI-FI) throughout the house and alarm. Extra services: baby bed available on request (€ 30,- / per week to be paid locally). 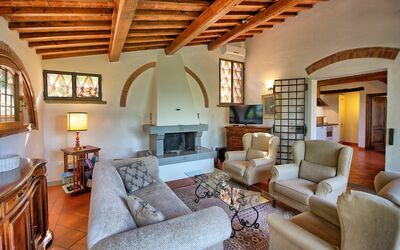 Ground floor: large living-room (satellite TV and music system) with air-conditioning and fire place, living-room with dining area and kitchen (oven, induction hob, microwave, fridge/freezer, dishwasher, toaster, coffee maker), double bedroom (satellite TV) with ensuite bathroom with shower. 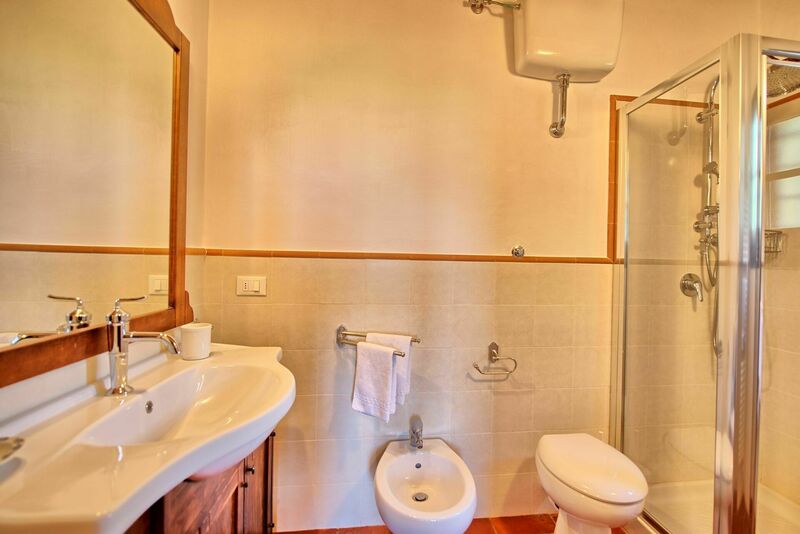 1st floor: 2 double bedrooms (satellite TV) each with ensuite bathroom with shower and beautiful views over the surrounding landscape. 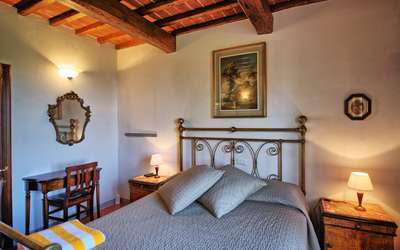 All of the bedrooms are provided with air-conditioning. 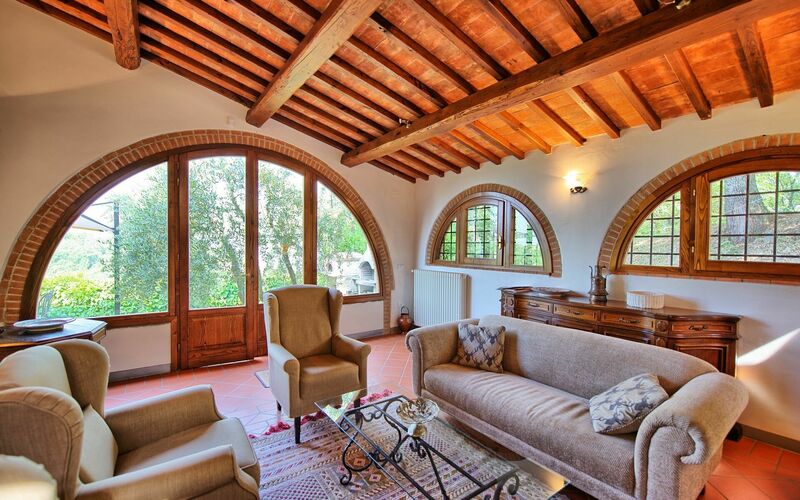 Mosquito nets and shutters on all windows. Internet (WI-FI) throughout the house and alarm. 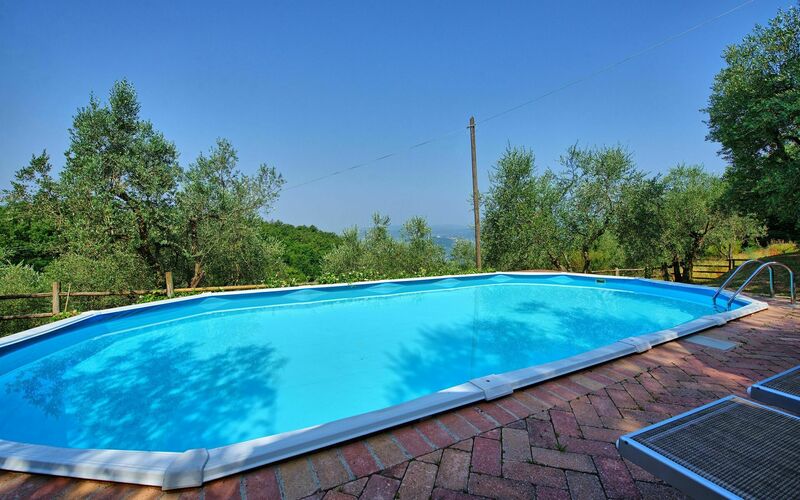 Electricity: included up to 110 kw, for further use to be paid according to consumption.